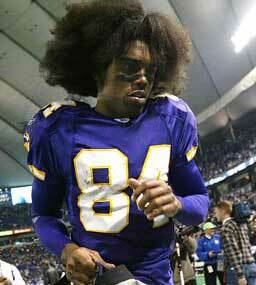 If you're scoring at home, Randy Moss is 1-8 since being traded by the Patriots. The Vikings were 1-3 with Moss, and the Titans dropped to 0-5 since bringing Moss on board with a loss to Indy last night. The Patriots, Vikings and Titans are a combined 4-9 with Moss. The Patriots (7-1), Vikings (4-4) and Titans (5-3) are a combined 16-8 without Moss. TFD: Will the Giants even get here? Will the Favre streak live?